I think I will probably slightly change the italic /i dot size togheter with changes in the italic punctuation marks. It would be a little bit bigger than now but not bigger than the roman one which I fixed after a lot of trials. I had similar problems with the accents (and also their positioning). And the italic /è accent still remains too slender to my taste. I consider the font unusable with the current /i/. @Christian Thalmann I tried a new solution for the roman /i dot. Bigger to this latter, or closer to the glyph has a bad impact on the texture and the readability. I compared also to some other fonts below. Note that all typefaces except for Jenson have a less eccentric dot than yours, with at least half of the dot supported by the stem. The newer faces all have centered dots, which reflects present-day sensibilities. The eccentric dot was a bad strategy to avoid collision with /f/ — now that we have stylistic alternates and ligatures at our disposal, there's really no reason to keep perpetuating this malpractice. Have you tried a centered dot for Uccello? Look not only at vertical alignment (i.e. Christian’s “half the dot supported by the stem”) but also at the trajectory of the right side of the stem establishing a limit for the tittle’s drift. BTW, the text sample you posted is still from the old version, right? Despite Griffo isn't my preferred designer between him and Jenson it seems its practice is "half the dot supported by the stem" (see below). And I will try that. However he already uses ligatures for /fi and /longs i. Thus I am not sure the eccentric dot is a strategy to avoid collision. 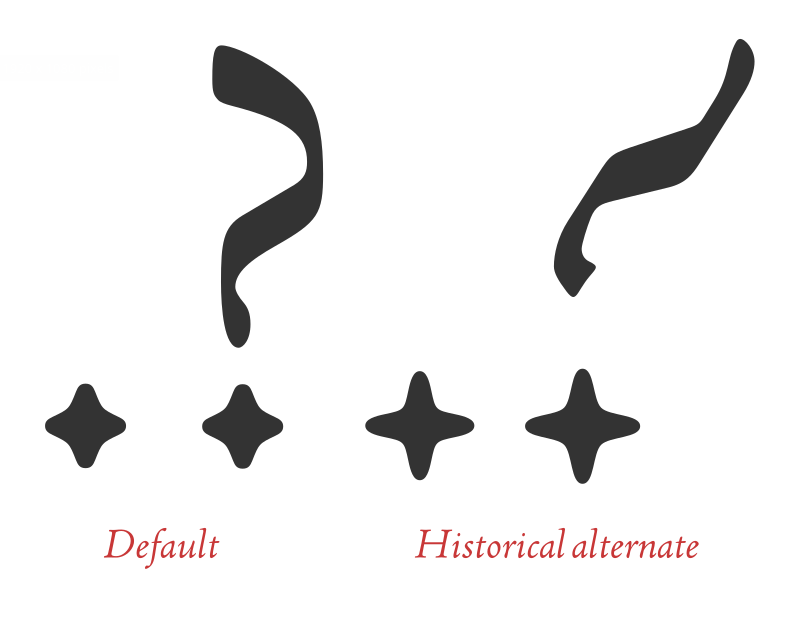 I think it could be one of the tricks to break the monotony of the font verticality and to introduce some dynamics. That's what I like personnally in this dots positioning. @Christian Thalmann Ooops ! You are right, that was the old one I changed it.